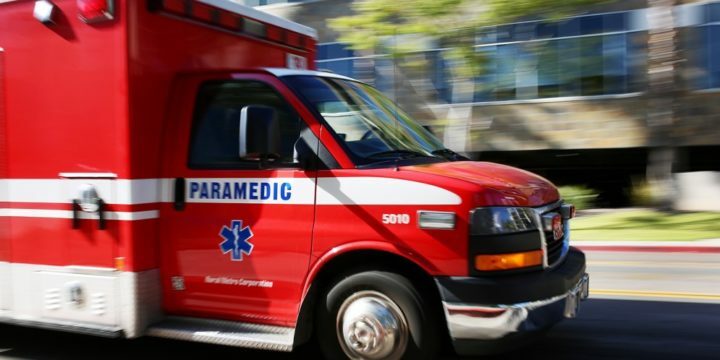 A woman suffered serious injuries when the car she was a passenger in was hit by a pickup at a Mira Mesa intersection, police said Monday. The accident happened shortly before 6:25 p.m. Sunday at the intersection of Avenida Del Gato and Calle Cristobal, San Diego Police Officer John Buttle said. A 40-year-old man driving a 2003 Acura sedan was stopped at a red light facing southbound on Avenida Del Gato while a 35-year-old man driving a 2011 Ford pickup was traveling westbound approaching the intersection, Buttle said. “One of the drivers failed to obey their signal and proceeded into the intersection and the two vehicles collided,” he said. A woman in the Acura, whose age was not immediately available, was taken to a hospital with serious injuries, Buttle said, adding that the other occupants of the Acura had only complaints of pain. The Ford driver remained at the scene and cooperated with officers, Buttle said.